Bajaj has launched the new Platina 100KS for a price tag of Rs 40,500 (ex-showroom, Delhi). It features CBS (Combined Braking System), which helps it comply with the upcoming government safety regulations, effective from 1 April. Essentially, there are two variants to choose from - the Platina 100KS (kick-start) and the Platina 100ES (electric-start). The former undercuts the latter by Rs 7,405. Aside from this, the two bikes are identical. The Bajaj Platina draws power from a 102cc, single-cylinder, air-cooled engine that produces 7.9PS at 7500rpm and 8.34Nm at 5,500rpm. It comes mated to a 4-speed transmission. Suspension duties are handled by telescopic forks and Bajaj’s patented twin spring-in -spring (SNS) suspension at the rear. Its braking setup comprises of a 130mm drum brake up front and a 110mm drum unit at the rear. While the kick start variant comes equipped with CBS, the electric start variant is soon expected to feature the same pretty soon. Both the bikes are offered in black and red colour schemes. The Bajaj Platina 100ES is priced at Rs 47,405. In terms of competition, the Platina 100 competes against the likes of the TVS Sport and Hero Splendor Plus. 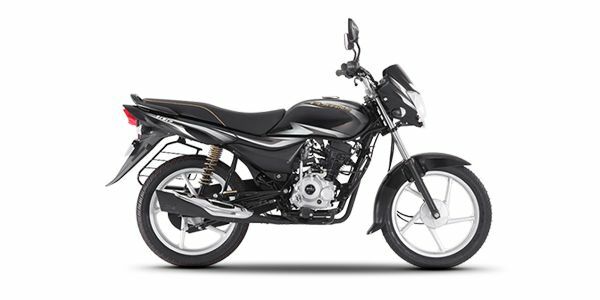 Bajaj Platina 100 prices start at Rs. 40,500 (Ex-Showroom). Bajaj Platina 100 is available in 2 variants .